The full New Jersey legislature will take up legalization of adult use of cannabis in the Garden State in the coming weeks after measures passed in two committees in a widely covered joint hearing of the House and Senate on Nov. 26. In a hearing attending by hundreds of spectators, the Senate Budget and Appropriations Committee approved S-2703 (sponsored by Sen. Nicholas Scutari) by a 7-2 vote with four abstentions. The Assembly Appropriations Committee cleared A-4497 (sponsored by Assemblywoman Annette Quijano) cleared by a 6-1 vote with two abstentions. New Jersey appears poised to become the first state legislature to allow retail sales of cannabis to adults. The measures next go to the full chambers for debate and a vote. Lawmakers meet in their first full session on December 17, but it’s unclear whether the bills will come up for a vote then. Unlike other states, the New Jersey legislature meets year-round, which means the bill won’t languish for months before it gets taken up by lawmakers. One closely watched component is expungements for people convicted of marijuana offenses. The Assembly bill lays out an accelerated process for those with records to clear their names. The committee approvals caught the attention of cannabis activists around the country partly because New Jersey ranks as the 11th largest state in the country by population with nine million residents. With the House, Senate and statehouse all in Democratic control, the legislation has a good chance of becoming law. Since Gov. 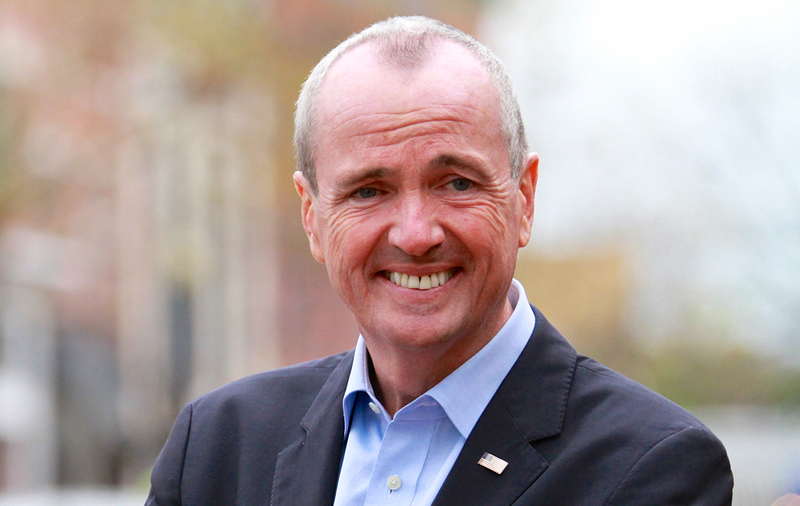 Phil Murphy won election on a legalization platform last year, the winds have favored legalization in New Jersey. But, so far, the process has been relatively slow. Advocates who’d hoped for a vote as early as this past spring are now projecting a decision by the end of the year at the earliest. Still, New Jersey appears poised to become the first state legislature to allow retail sales of cannabis to adults. As proposed, the legislation would permit adults to possess up to one ounce of flower, up to a pound in solid form and 72 ounces in liquid form of marijuana-infused products (edibles) and seven grams of marijuana extracts. It creates five categories of regulated marijuana businesses: growers, product manufacturers, wholesalers, testing facilities and retailers. Some retail sites could include consumption on premises in designated areas. Local municipalities would retain control over the number and types of cannabis enterprises in their jurisdictions and would have the right to enforce local licensing requirements. Some towns and cities have been holding hearings to get public input. The legislation proposes treating anyone under 21 caught with cannabis in a similar manner as alcohol and erases the stricter criminal penalties currently on the books. It also establishes a five-member Cannabis Regulatory Commission to oversee adult use and existing medical program. With the House, Senate and statehouse all in Democratic control, the legislation has a good chance of becoming law. Another negative is the ban on home growing in both bills. Washington is the only legal state (there are 10) that doesn’t allow domestic cultivation. One strong motivator for legalization in New Jersey is sorely needed revenues. The Assembly and Senate budgets include a projected $69 million from marijuana taxes, which is considered a conservative estimate. In most other legal states, tax revenues from cannabis have exceeded expectations. The post New Jersey Legalization Legislation Moves to Floor Debate After Historic Votes appeared first on Freedom Leaf.